Fabulous peaceful rural treed property ZONED FOR HORSES just minutes North on Washington Street. This beautiful one-owner home located on 4.6 acres has an attractive open layout with three bedrooms on the main floor including a master bedroom and master bath and another full bath; a spacious living room with a gas fireplace; a large, newer two-tiered deck off the dining room, and a very nice eat-in kitchen with a generous counter. The lower level has two bedrooms, 3/4 bath, laundry room with a counter and sink, and a large family room with a gas fireplace. There are also two furnaces in the home with very low heat bills; avg MDU gas ONLY $57/mth. 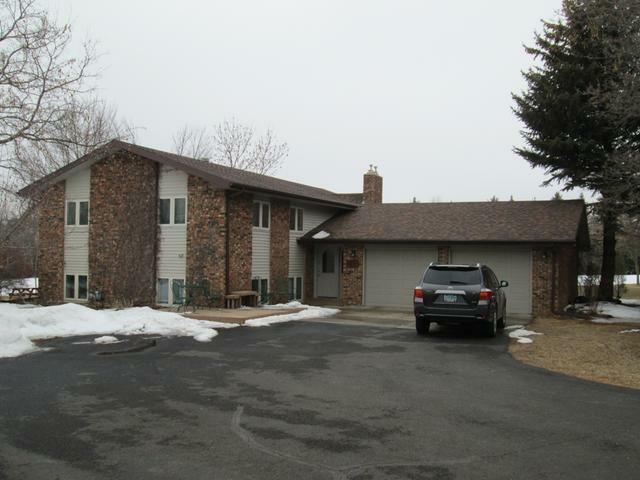 This property is in a great established location and is very well maintained and move-in ready.